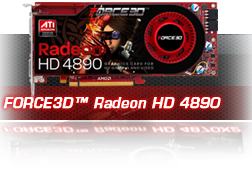 Force3D™ launches the Force3D™ Radeon HD 4890 which tears through the latest games with seamless frame rates and goes beyond HD gaming performance. 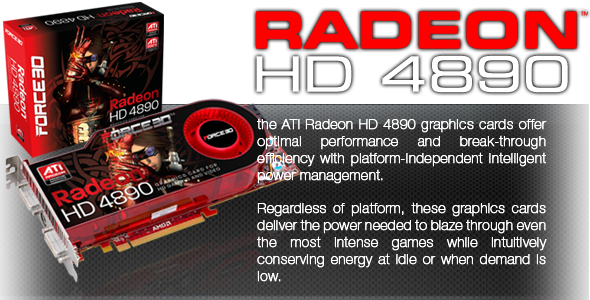 Building on the strength of the award winning ATI Radeon 4800 series, the Force3D™ Radeon HD 4890 stands out from the rest by accelerating maximum performance levels. 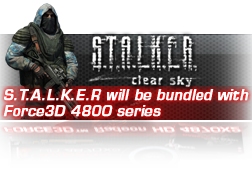 Force3D™ Radeon HD 4890 is built with 800 stream processors and has the brute strength needed to tackle the latest 3D games. Equipped with the fastest, most advanced GDDR5 memory, technology, the GPU supports higher data rates with translates directly into superior performance and maximum memory bandwidth. Tap into the massive parallel processing power with Force3D™ Radeon HD 4890 GPU with ATI Steam technology and tackle demanding tasks like video transcoding with incredible speed. Personalise your experience with state of the art overclocking capabilities, advanced system monitoring and amazing control.  Tune your system in real-time and push the performance envelope with ATI OverDrive™ utility. 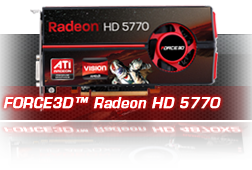 Get right into the action with Force3D™ Radeon HD 4890 and experience cinematic gaming at extreme HD resolutions with mind-blowing performance in the latest DirectX® 10.1 games.